Heart were inducted into the Rock and Roll Hall of Fame in 2013. The first female-fronted hard rock band, Heart proved women can rock with the best of them. Kicking & dreaming : a story of heart, soul, and rock and roll by Ann & Nancy Wilson with Charles R. Cross. All of our audio by Heart can be found here. Steve Fossen of Heart talks about being inducted into the Rock Hall. Backstage with Ann and Nancy Wilson and Chris Cornell. Backstage at the Rock Hall's 2012 Induction Class announcement at the Nokia Theatre in Los Angeles with Ann and Nancy Wilson. Gallery Talk: Curator Meredith Rutledge-Borger discusses 2013 Rock Hall Inductees Heart, including a dress worn by Ann Wilson during the group's "Dreamboat Annie" era. Ann and Nancy Wilson of the band Heart on being female artists in a male-dominated rock world, including navigating stylistic changes and feminism. Includes performances by the Wilsons and audience Q&A after the music. 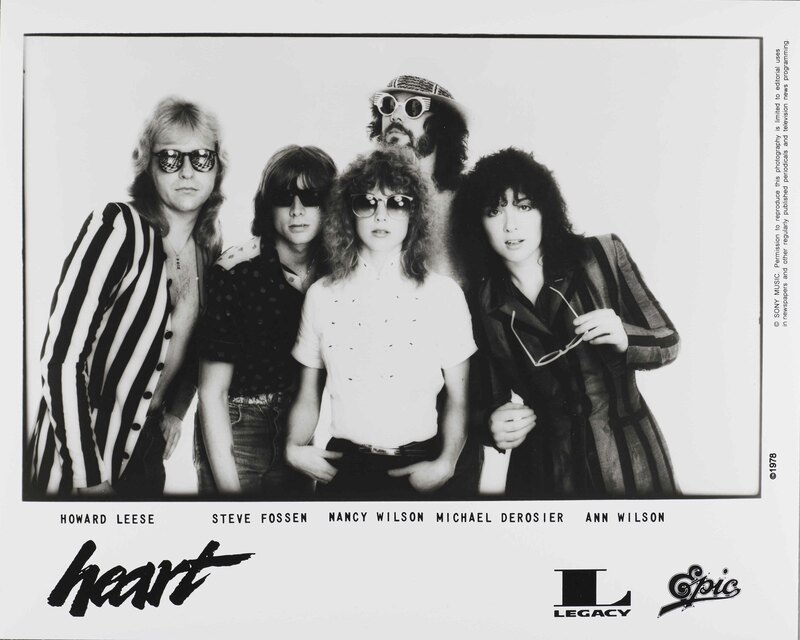 Live audio and video recordings of Heart from 1976 to 1988 throughout the United States and Canada; including an October 16, 1976 audiocassette recording of the band performing at John Carroll University in Cleveland, Ohio. Heart sings "Crazy on You" live on Burt Sugarman's The Midnight Special, which aired March 4, 1977. Heart's music video for "What About Love" from the 1985 album Heart. Ann Powers interviews Ann and Nancy Wilson at SXSW in 2012.